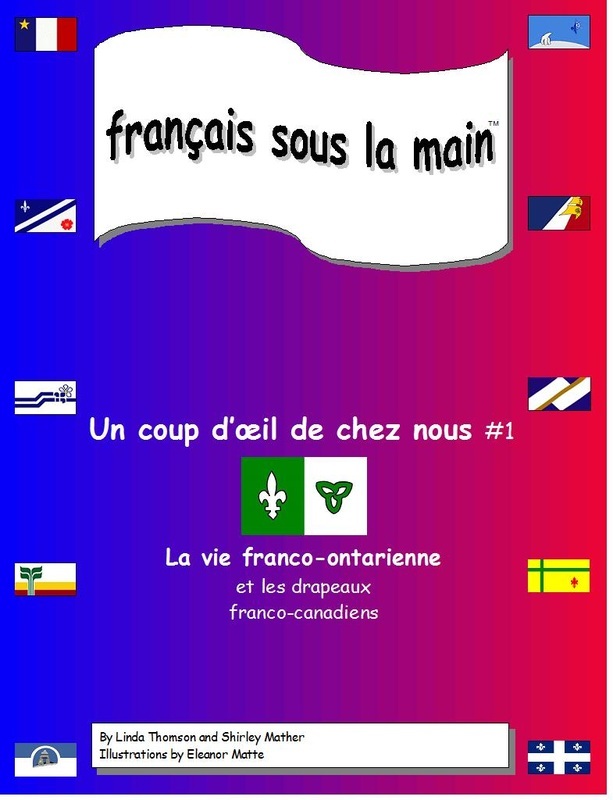 In 2009, the Ontario government released a draft of a possible new curriculum for the Core French program, indicating that a change was coming. For the following few years, teachers have taught according to the still existing curriculum but kept the draft and its contents in mind, as well as information they are learning about the CEFR (Common European Framework of Reference) as they have been waiting for the final curriculum to be released. At LearningSpirit we have continued to ask teachers what they want and need from us. 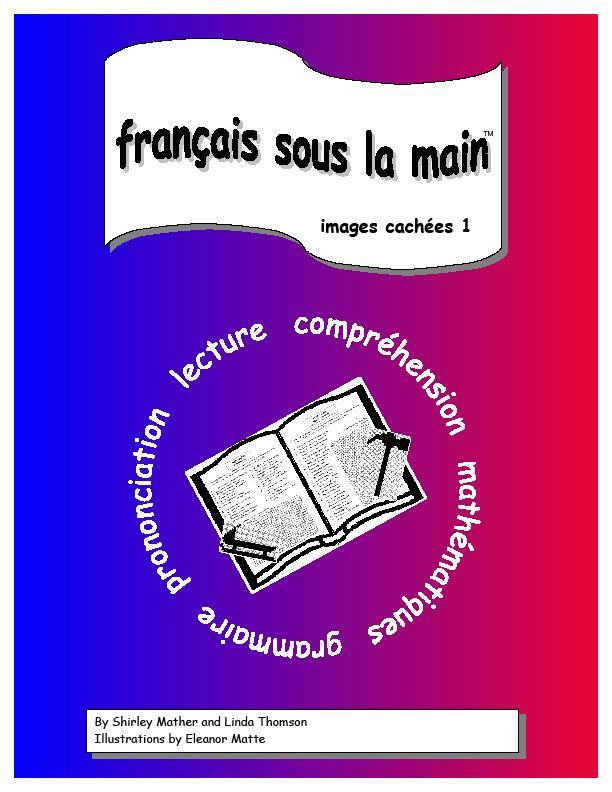 We have started the series, français sous la main™, in response to what they have told us, yet preserved the practical, fun and time saving nature of the activities in the Grammaire Sous La Main™ and Grammaire Supplémentaire Sous La Main™ series. 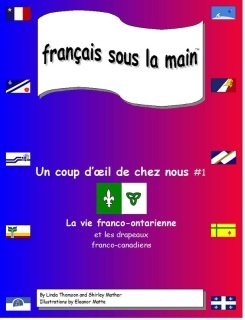 français sous la main™, Un coup d’oeil de chez nous #2 New in 2012! - continue with the theme of cultural literacy. - create a resource with the spirit of the Common European Framework of Reference (CEFR) in mind. Students need real content and related activities that are flexible enough for all students to engage in at their own level of competency. Students need experiences that allow them to see themselves as language learners in terms of what they can do. A content rich resource, it provides engaging follow-up activities in listening, speaking, reading, and writing that are flexible according to students’ abilities and interest. 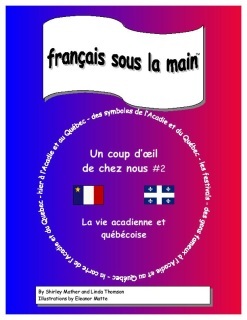 Take a look at Un coup d’oeil de chez nous #2! Teachers have asked us for resources to provide support in the area of cultural literacy while continuing to reinforce language skills in all areas. Take a look at Un coup d’oeil de chez nous #1! 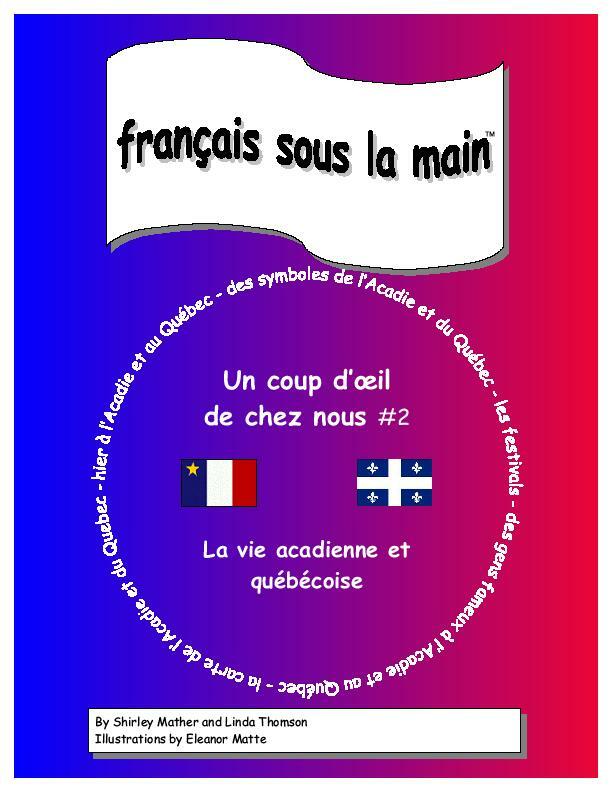 Popular in our Grammaire Sous La Main™ series, teachers asked us to make a whole book of these fun puzzles. 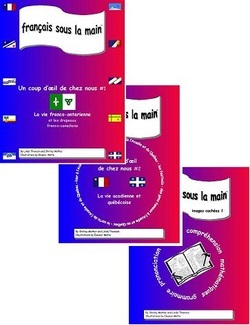 Perfect for review or evaluation, images cachées 1 contains 22 puzzles targeting comprehension of reading and vocabulary, pronunciation, understanding of numbers and simple math operations, as well as elements of grammar. Take a look at images cachées 1! For information on or to order Grammaire Sous La Main™ click here, for Grammaire Supplémentaire Sous La Main™ click here.